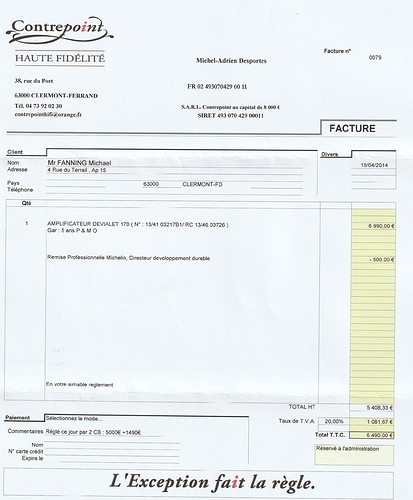 I am the original owner of a Devialet 200, which is for sale for $3500 or best offer, plus shipping within the United States and to Canada. My for sale price is about $200 lower than comparable units available on Audiogon. I can take PayPal or check. I will ship the unit once payment is made. The unit is in excellent shape with no apparent cosmetic defects. I’ve always lived in smoke-free environments. I have the original box and remote. 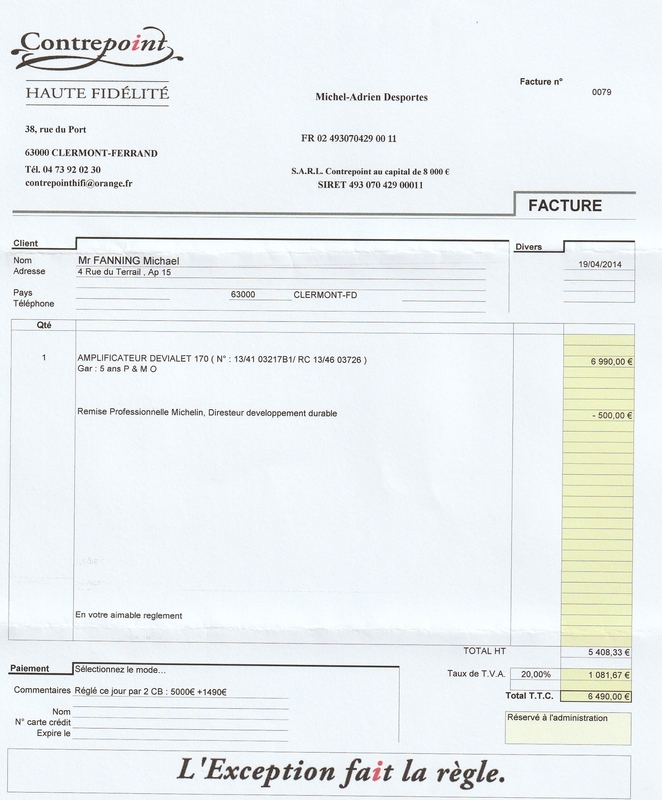 Here is a photo of the original sales receipt (I purchased the unit when I lived in France, so the price is in euros.) You’ll note that the unit was originally a Devialet 170 and then subsequently upgraded to a Devialet 200 via firmware upgrade.